Today’s midsized and large organisations operate within a truly global economy—and this dynamic creates both interesting challenges and significant opportunities for many areas of an organisation, especially human resource and payroll functions. WorkForce Suite is the cloud based workforce management solution that empowers employees and managers to digitise time and labour processes, optimises demand-driven scheduling, simplifies absence management and enables strategic business insight with complete visibility across all employee groups and locations. 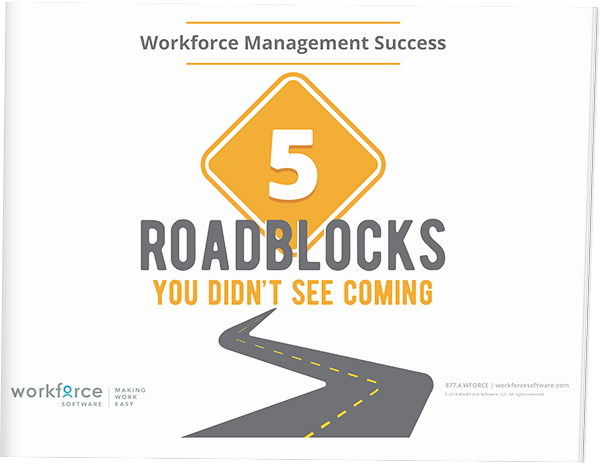 Don’t let your next workforce management project fall short. Learn how to protect your organisation from the most common pitfalls and risk factors.